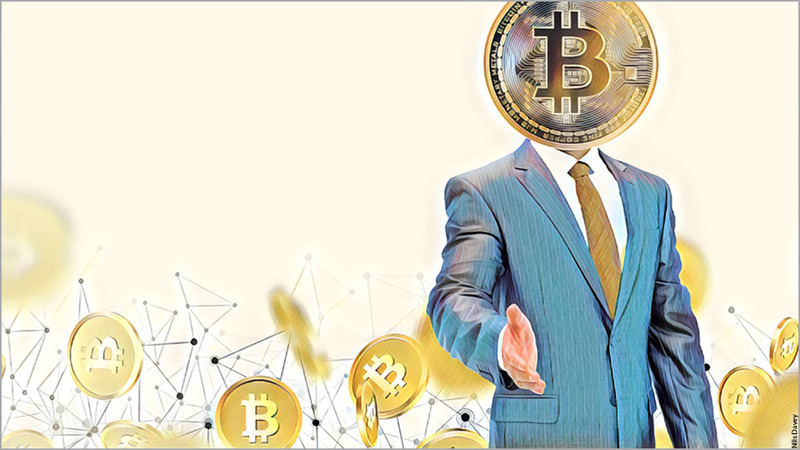 After booming in 2017 and going bust in 2018, the cryptocurrency market has been making inroads with institutional investors, setting up 2019 to be the year a Bitcoin investment may join stocks, bonds, currencies and commodities as a mainstream asset. The maturation of the cryptocurrency market could accelerate if a Bitcoin ETF passes regulatory muster. And the launch later this year of physical settlements of crypto futures contracts could further open the floodgates for Bitcoin investment seekers. The institutionalization of the cryptocurrency market is a big deal for ordinary investors. 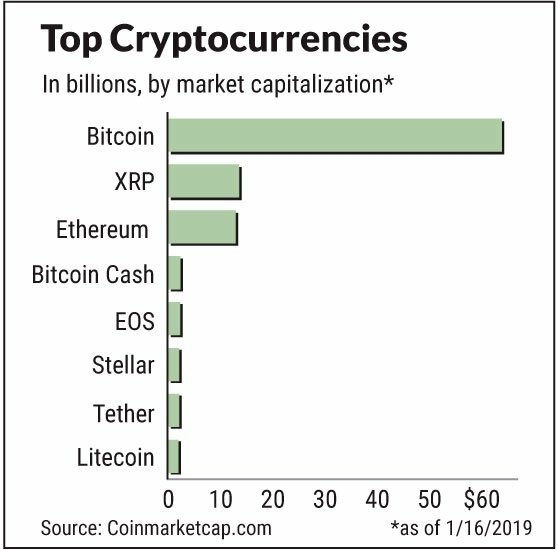 Big money managers could soon package crypto assets into mutual funds and ETFs, while paving the way for Bitcoin to enter 401(k)s and IRAs as regulated, mainstream investments. That means anyone with a brokerage or retirement account could make a Bitcoin investment eventually. Institutions also will pass on the benefit of seamlessly and safely buying, selling, storing and spending digital assets to their customers. "We're bullish on 2019 because finally the institutional rails are coming in place," said Matt Hougan, global head of research at Bitwise Asset Management, a Bitcoin investment provider. Meanwhile, stock market operators Nasdaq (NDAQ) and NYSE-parent Intercontinental Exchange (ICE) announced plans for Bitcoin futures trading, joining CME Group (CME) and CBOE Global Markets (CBOE) in the fledgling space. 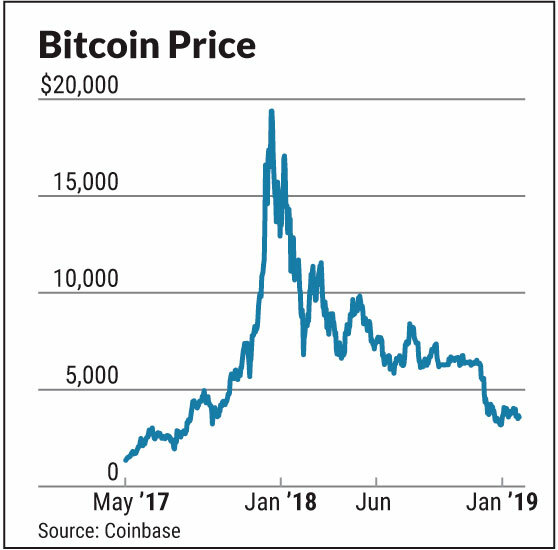 After a frenzied stampede to dizzying heights in 2017, the subsequent collapse was one of the worst in Bitcoin's history. It was marked by fraud allegations at top investment platforms as well as reports of fake volumes and price manipulation. In fact, crypto assets lost $731 million to hacks, scams and heists in the first half of 2018. The cryptocurrency market has shrunk to $120.4 billion, after peaking near $795.8 billion just over a year ago, according to CoinMarketCap. Bitcoin kicked off 2019 with a rally but is now back below $4,000. The crash smoked out crypto speculators and other investors who got caught up in the hype. But some affluent investors sensed an opportunity in beaten-down prices. Crypto investing firm Grayscale attracted $329.5 million over the first nine months of 2018, up from $25.4 million in the year-ago period. Institutional investors mostly drove the new capital, it said. Two-thirds went into Bitcoin and the rest into Bitcoin Cash, Ethereum, Litecoin, XRP and Zcash. "Investors appreciate the notion that multiple digital assets can survive, thrive and complement one another in the new digital economy," Grayscale wrote in a report. It called 2018 inflows the strongest in its five-year history. The firm's flagship product, Bitcoin Investment Trust, held $768.2 million in assets as of December. It requires a $50,000 minimum investment. The fund gives investors exposure to Bitcoin price movements, without the hassle of buying, storing and safekeeping coins. October saw a huge development for institutional Bitcoin investment seekers. Fidelity took the wraps off Fidelity Digital Assets, becoming the first Wall Street firm to offer cryptocurrency custody and trading to investors. Fidelity's move is a big deal, in more ways than one. The company administers $7.2 trillion in assets, has 27 million customers and works with more than 13,000 financial institutions. Crypto believers took its entry as the clearest sign yet of more widespread adoption of crypto assets. "One thing that has slowed the growth of crypto assets is their reputation for being extraordinarily risky," said Hougan. "Fidelity is a privately held, family-owned company that was able to take an unbiased look at the crypto asset market and thinks it's worth developing this platform." For many institutional investors, the arrival of a trusted custodian removes one of the biggest hurdles to crypto investing. Institutions want custody solutions for cryptocurrencies as robust as those for traditional stocks and bonds. In addition to custody, Fidelity Digital Assets will execute trades at multiple exchanges. So instead of opening accounts at different venues, institutions can trade cryptocurrencies through a single interface, said Tom Jessop, head of Fidelity Digital Assets. Moreover, Fidelity didn't just launch a crypto platform. It declared Bitcoin and cryptocurrencies a new asset class. Fidelity's new stand-alone crypto company was years in the making, said Jessop. Earlier forays included Bitcoin mining and a partnership with Coinbase on digital wallets. It also experimented with blockchain — the shared ledger technology behind cryptocurrencies — and accepted Bitcoin for charitable donations. For now, Fidelity is offering crypto services to hedge funds, endowments and family offices, but not to retail investors. It says institutional clients see digital currencies as a store of value, relatively uncorrelated to stocks and bonds. They also have the potential to lower the costs of global payments and to power whole new industries. "The promise of technologies built on blockchain is providing momentum and support for this new asset class," Jessop told IBD. For Hougan, one event could eclipse Fidelity's entry as a milestone in the cryptocurrency market. "A Bitcoin ETF would be a game changer if it happens," he said. "That would be the single most important thing. It would make it so much easier for financial advisors and retail investors to come into the space." Bitwise has filed with the U.S. Securities and Exchange Commission for cryptocurrency and Bitcoin ETFs. ETFs, or exchange traded funds, lower the barrier to entry to new markets and niche asset classes. A notable example is SPDR Gold Shares (GLD), which pushed commodity investing into the mainstream. A Bitcoin ETF isn't a sure bet, even if its most vocal backers tout an imminent arrival. Last year, the SEC snubbed a string of Bitcoin ETF bids, citing lack of liquidity and price manipulation risks in mostly unregulated markets. Hougan, an ETF industry veteran, calls that no bad thing. Regulators have been asking "meaningful" questions about reliability of crypto pricing, arbitrage and custody, he said. "A Bitcoin ETF won't launch until the SEC feels comfortable that the market is ready for it," he added. "So (approval of one) will give investors comfort that the market has matured enough." Meanwhile, two new crypto companies also eye 2019 launches for highly anticipated products. Derivatives exchanges Bakkt and ErisX will both offer Bitcoin futures trading. Both have heavy backing from Wall Street and some of America's leading companies. Bakkt and ErisX will offer physically settled Bitcoin futures contracts, whereas CME and CBOE settle in cash. That difference is crucial because cash-settled futures are seen as vulnerable to manipulation. Although underlying assets are virtual, a futures contract will result in delivery of actual Bitcoin into customer accounts, Bakkt says. With less vulnerability to manipulation, futures with physical settlements could draw more investors into the cryptocurrency market. And the backing of Bakkt and ErisX from top brokerages also hints at cryptocurrencies someday ending up in IRAs and 401(k)s.
Hong-Kong based CoinFLEX recently beat its U.S. rivals in the race to offer physically settled Bitcoin futures. Bakkt pushed back plans to begin futures trading from December to Jan. 24, and now foresees more delays. ErisX is eyeing a launch in the second half of 2019. Both must first pass muster with the Commodity Futures Trading Commission. In crypto land, the reaction to large financial institutions is split into three broad camps, said Michael Casey, senior advisor for blockchain research at MIT's Digital Currency Initiative. Speculative investors expect the influx of big money to drive Bitcoin prices straight up. A second crowd sees big institutions as anachronisms dabbling in something they don't understand. The third camp, where Casey's own views fall, sees institutions as a necessary or inevitable phase toward a more decentralized financial system. "You need custody services for the average Joe," Casey said. "If the future of digital assets is to be more mainstream, then we need ordinary folks to participate. And they won't do it without trusted institutions along the way." He also thinks institutions will help with things like price discovery, ultimately benefiting everyone. Culture Clash To Hit Cryptocurrency Market? But in the near term, Casey foresees a clash of cultures between Wall Street and the renegade ethos of Bitcoin. In fact, Bitcoin gained prominence during the financial crisis and reflected the desire for a currency that's free from a central bank or state. Moreover, Casey argues institutions can't apply their usual methods of evaluating assets to coin and token projects. Rather than focus on market cap or price, they should look at how many developers a project has, or how deep the community's engagement is, or how many exchanges the project will be on. Even the idea of cryptocurrencies as an emerging asset class is questionable, he finds. "A crypto token is a bet on an idea, on an asset whose value is a direct outcome of the whims of the community behind it," said Casey, who's also advisory board chair at Coindesk. "Institutions need to be aware of that." In turn, crypto investors shouldn't naively believe that institutional money will push prices back up, at least in the short term. "Institutions are looking to capitalize on the volatility," he warned. For now, some big institutions synonymous with Wall Street — and the financial crash — are keeping an arm's length distance. Uncertainties on whether regulators will treat digital tokens as commodities or securities chilled plans by big banks like Goldman Sachs (GS), Morgan Stanley (MS) and Citigroup (C) to develop crypto trading desks and other projects, Bloomberg reported in December. Fidelity's Jessop has a key piece of advice for investors: The long-term value of the underlying technology deserves as much attention as cryptocurrency and Bitcoin prices. Jessop called digital assets one of the most transformational technologies since the internet. "In the late '90s, the whole web space had a significant decline," he said. "But the technology is quite durable and, 20 years later, we can't imagine a world without the internet." Previous PostHoney, Please Stop At The Grocery To Pick Up Some Bread, Milk And… Bitcoin?